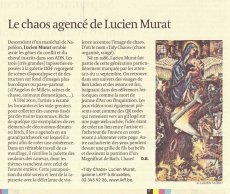 Lucien Murat is fascinated by the concept of the end of the world, its representation and its impact on the “collective unconscious”. 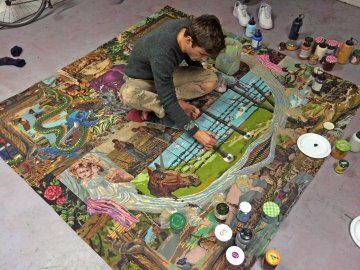 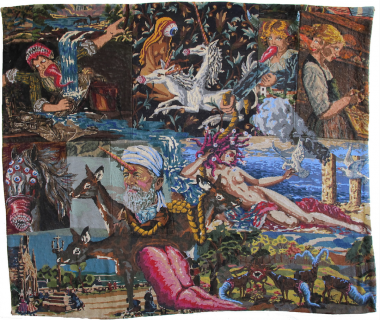 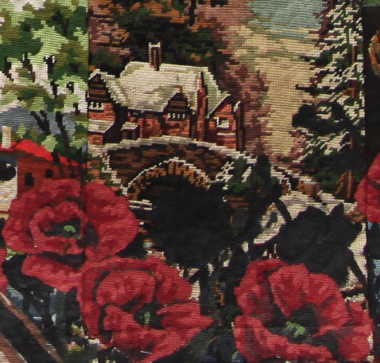 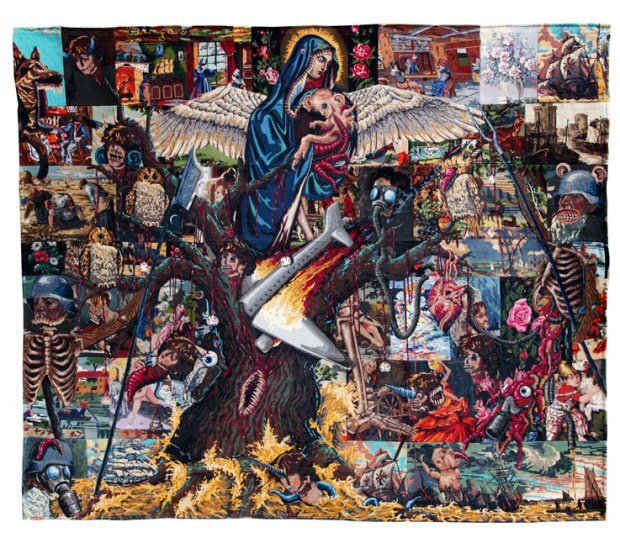 His canvases are patchwork of carefully chosen old- fashioned classic decorative tapestries one could find in each grandmother’s home in France - sewn together. 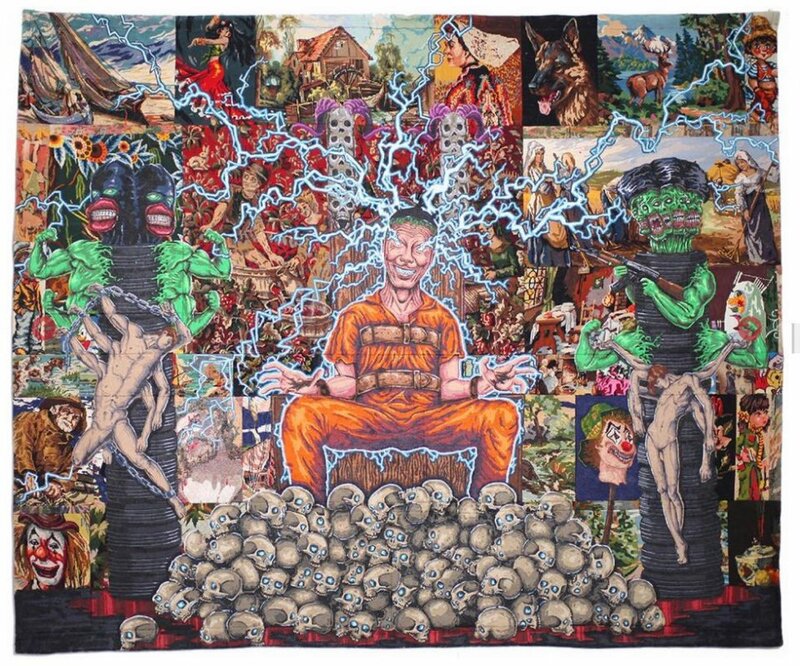 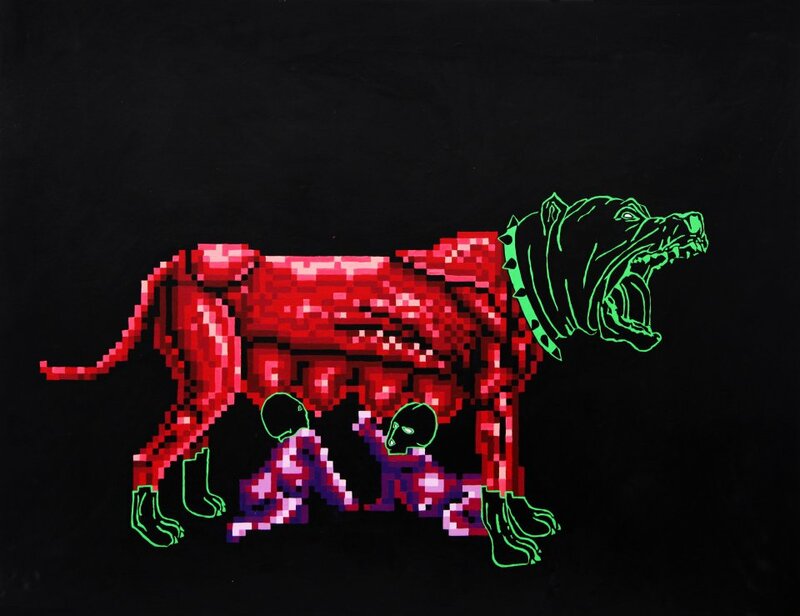 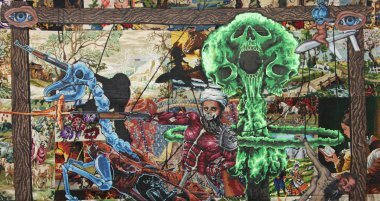 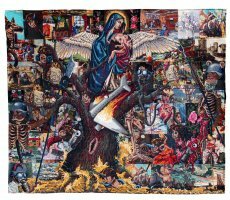 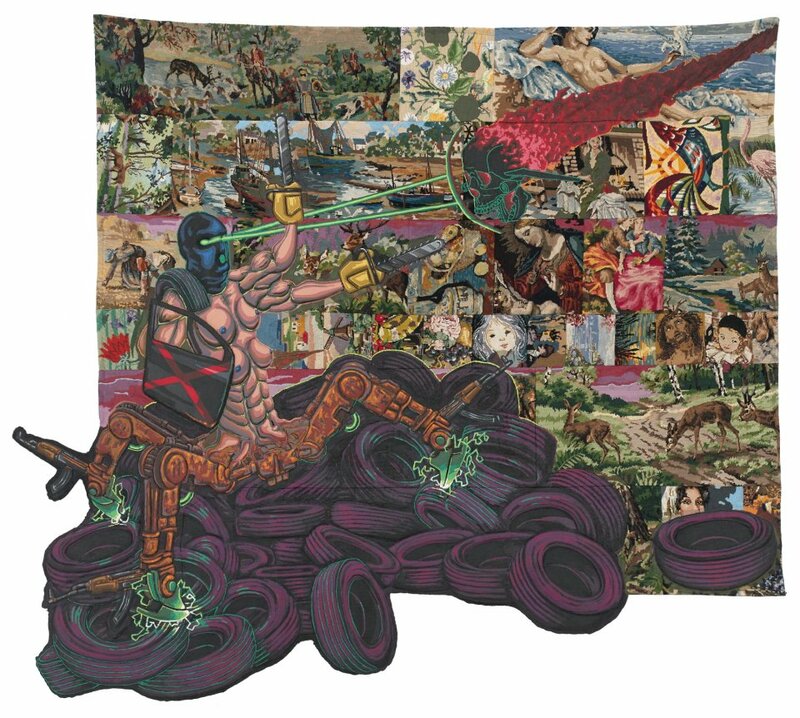 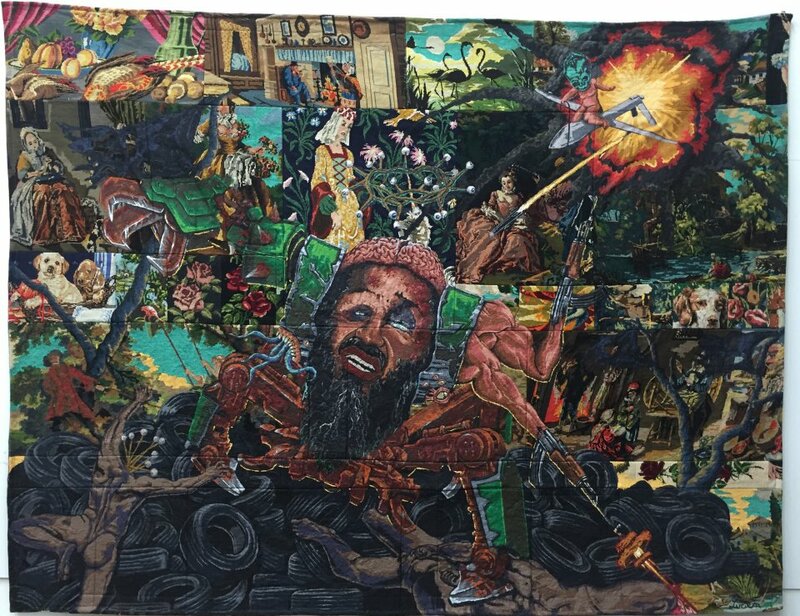 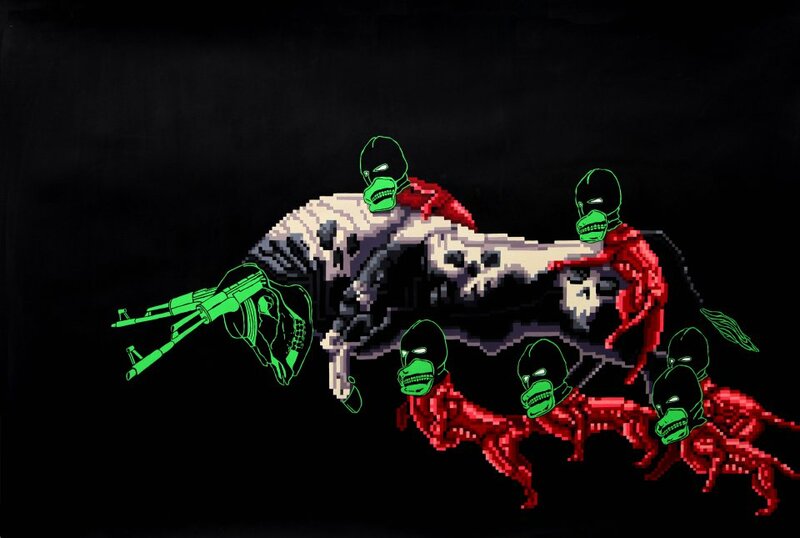 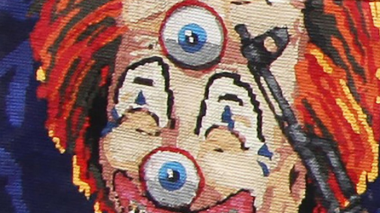 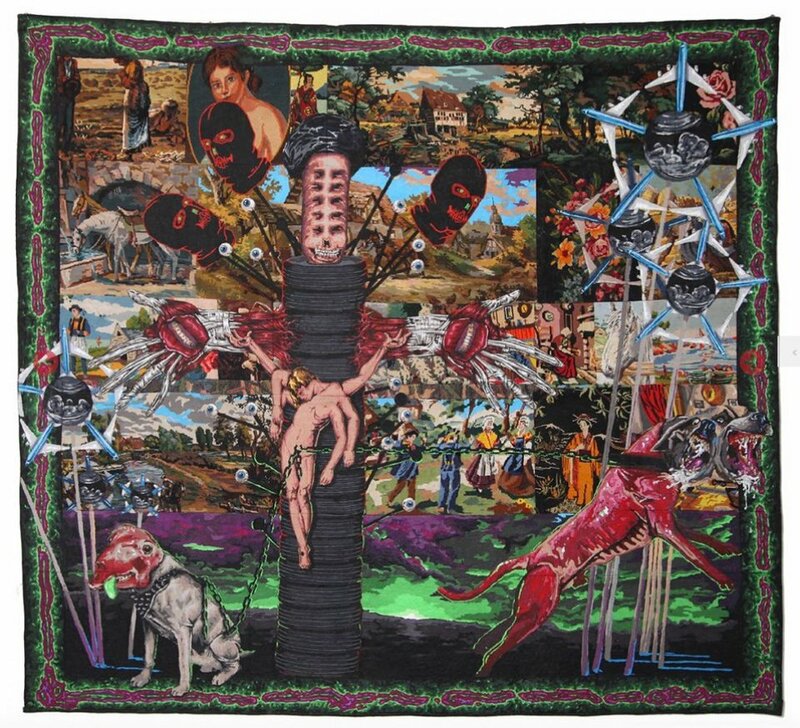 Under his paintbrushes, they are transformed into immense colorful tapestries, questioning the fantasized grandiose of chaos, constantly flirting between absurd and grotesque. 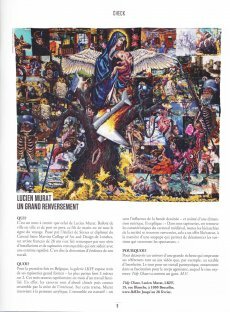 Lucien Murat est fasciné par le concept de la fin du monde, par ses représentations et par son impact sur l’inconscient collectif. 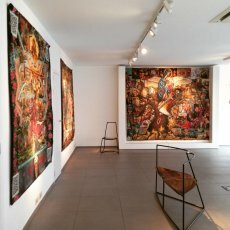 Ses tableaux sont un patchwork réalisé à partir d’anciennes tapisseries (que l’on pouvait retrouver dans toutes les demeures de grand-mères en France) sélectionnées et cousues ensemble avec soin. 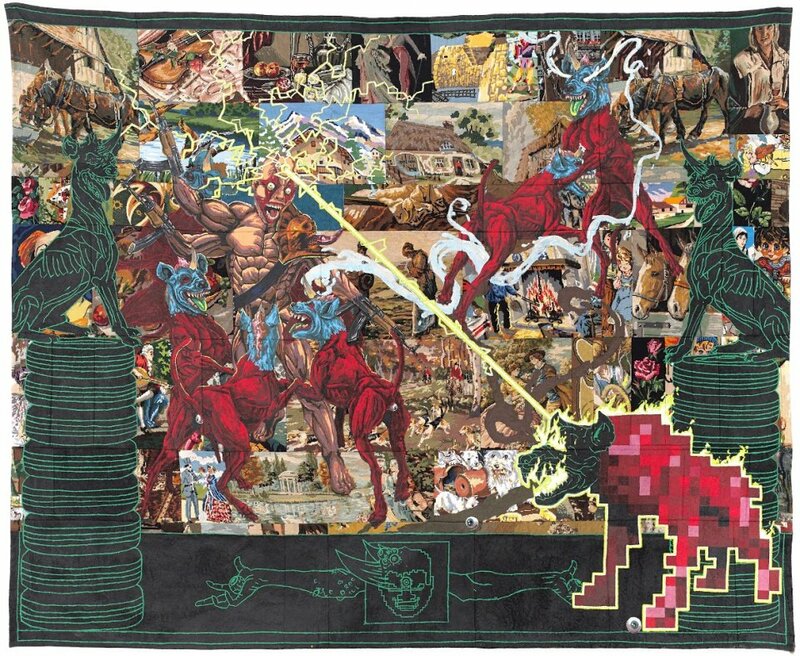 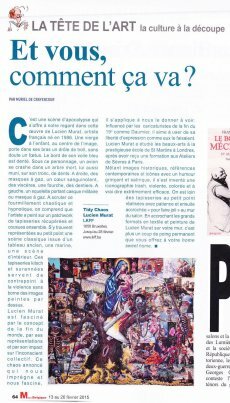 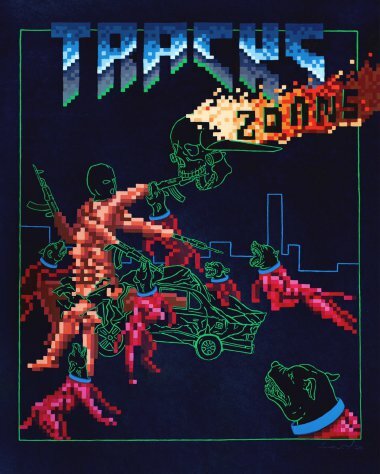 Sous les pinceaux de Lucien, elles sont transformées en d’immenses tapisseries colorées questionnant la grandeur fantasmée du chaos, basculant constamment entre l’absurde et le grotesque. 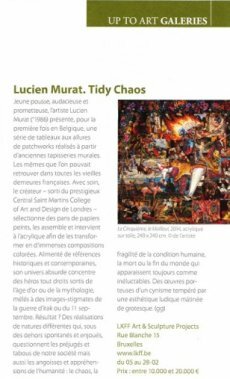 2007 - 2010Murat studies Fine Arts at the prestigious art school of St Martins in London. 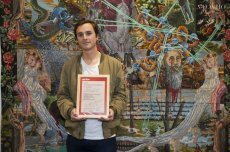 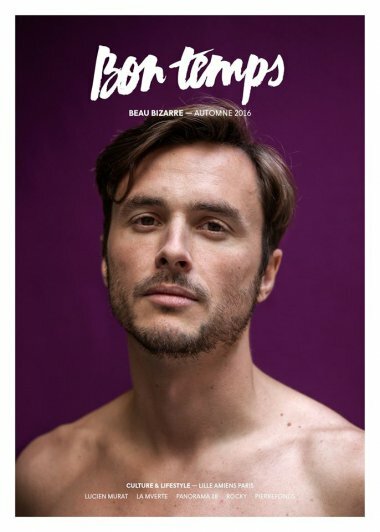 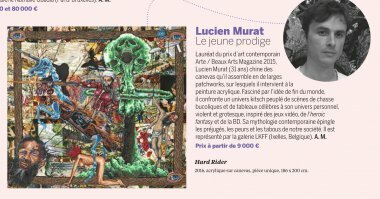 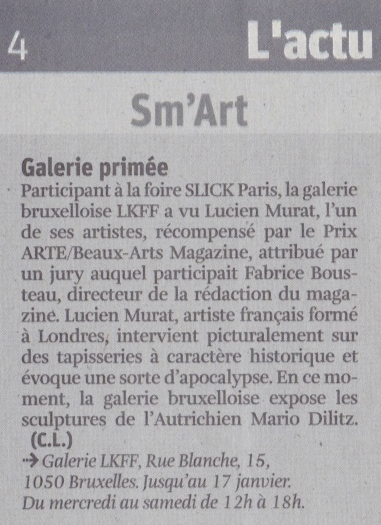 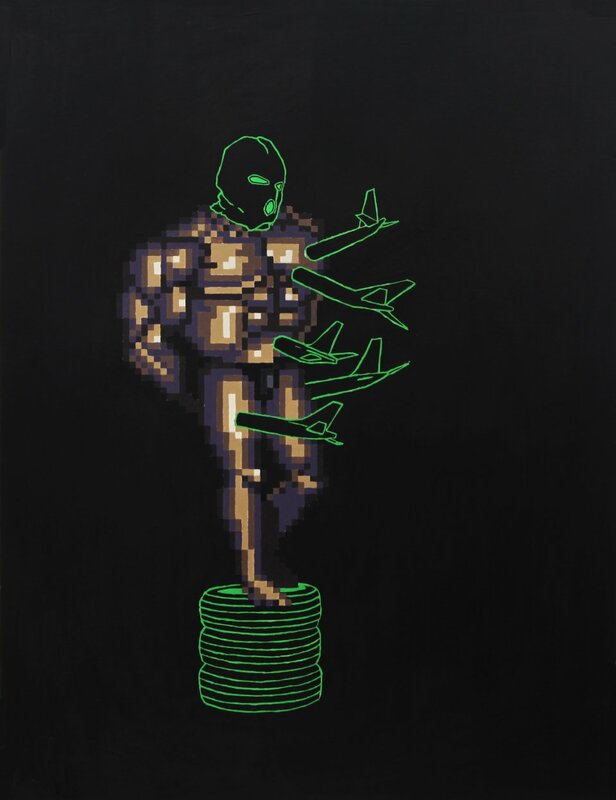 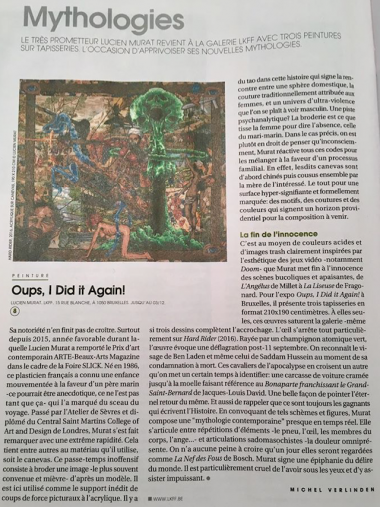 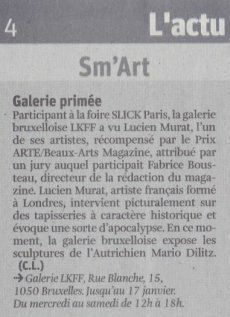 2015Lucien MURAT receives the ARTE / Beaux-Arts Magazine Prize at SLICK Paris. 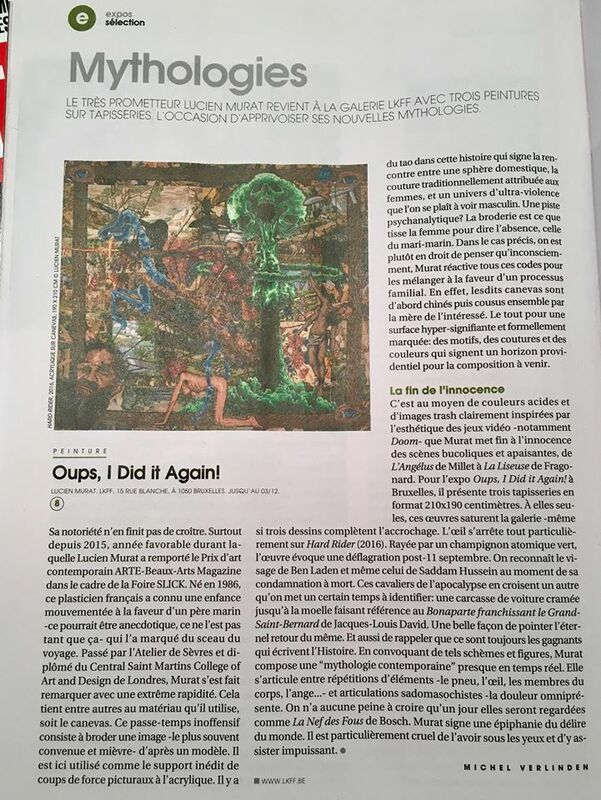 Lucien MURAT receives the ARTE / Beaux-Arts Magazine PrizeHanded out by an unanimously convinced jury: David Combe, president of the jury, chief editor TRACKS on ARTE ; Fabrice Bousteau, chief editor Beaux-Arts Magazine ; Louise Bourgoin, actress ; Gontran Cherrier, baker and confectioner; India Mahdavi, architect and designer ; Thierry de Peretti, actor and director ; Nicolas Godin, musician, member of Air ; Johan Tamer-Morael, director of Slick Art Fair and Owlle, author - composer- interpreter.